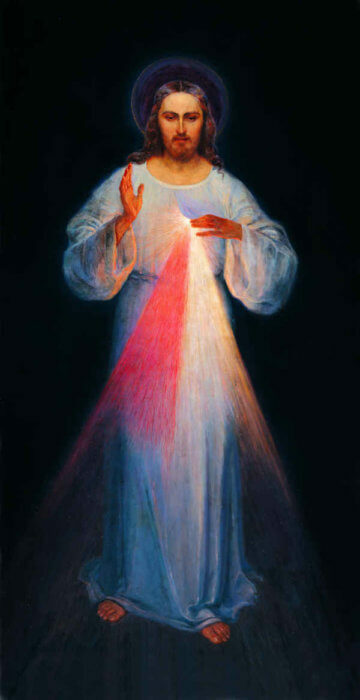 Divine Mercy Sunday - My Catholic Life! Below are some beautiful prayers from the Diary of Saint Faustina. 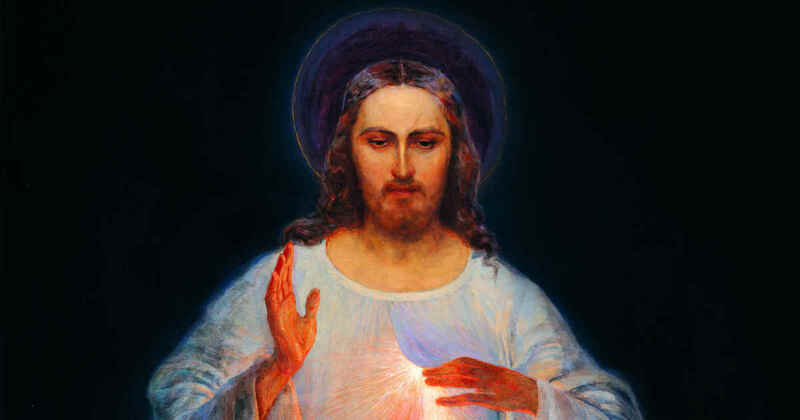 These prayers are especially appropriate for Divine Mercy Sunday but should be pondered and prayed throughout the year and throughout your life. “O Jesus, stretched out upon the cross, I implore You, give me the grace of following faithfully the most holy will of Your Father in all things, always and everywhere. And when this will of God seems to me very harsh and difficult to fulfill, it is then I beg You, Jesus, may power and strength flow upon me from Your wounds, and may my lips keep repeating – Your will be done, O Lord (…) O most compassionate Jesus, grant me the grace to forget myself that I may live totally for souls, helping You in the work of salvation, according to the most holy will of Your Father…” (Diary, 1265). “O Greatly Merciful God, Infinite Goodness, today all mankind calls out from the abyss of its misery to Your mercy, to Your compassion, O God; and it is with a mighty voice of misery that it cries out. Gracious God, do not reject the prayer of this earth’s exiles! O Lord, Goodness beyond our understanding, Who are acquainted with our misery through and through and know that by our own power we cannot ascend to You, we implore You: fill us with Your grace and keep on increasing Your mercy in us, that we may faithfully do Your holy will all through our lives and at the hour of death. Let the omnipotence of Your mercy shield us from the darts of our salvation’s enemies, that we may with confidence, as Your children, await Your final coming…” (Diary, 1570). “…a soul should be faithful to prayer despite torments, dryness and temptations, because often the realization of God’s great plans depends on such prayer. If we do not persevere in such prayer, we frustrate what the Lord wanted to do through us or within us. Let every soul remember these words: And being in anguish, He prayed longer” (Diary, 872). as a fount of Mercy for us, I trust in You” (Diary 187).